Mr. Atul Jayawant’s professional career spans over 30 years across 3 Organizations – Siemens, Unilever and Aditya Birla Group. 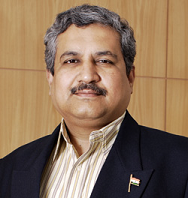 He has worked in India and overseas in roles ranging in responsibility at Company, Country, Region and Global levels. In his current role he heads the IT function for the 30 Billion $ Global Conglomerate. 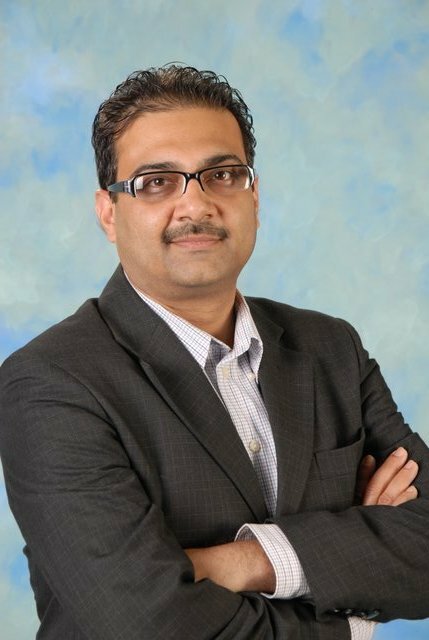 Atul joined Aditya Birla Group 5 years ago after 21 years with Unilever Group and 5 years with Siemens. Aditya Birla Group has operations in 25 Countries with 130,000 employees belonging to 30 different nationalities. Over 60 per cent of the Group’s revenues flow from its overseas operations. Some of the Businesses of the Group are – Hindalco, Grasim, Novelis, Idea, Ultra Tech, Birla Sun Life, Madura, MORE, Essel Mining, Trading, Carbon Black, Chemicals and Minacs ITES. Providing Thought Leadership and Partnering with each Business Team, providing Oversight in terms of Policies, Architecture, Strategy and Processes and driving Group Synergy related to Skills, IT Buying, Vendor Relationships and Shared IT Services. Enabling and Leading the Innovation and Transformation programs across the Group in line with Group’s Vision to be a premier Global Conglomerate and target 65 Billion $ Revenues in 2015. He is a graduate in Science from St. Xavier’s College Mumbai with post graduate diploma in management studies from Jamnalal Bajaj Institute Mumbai. What is difference between Digital driven Improvement and Disruption ? What are examples of each and why is it important to differentiate the two ? What is so different about Digitization driven Disruptions and why is this so important ? Can a Culture of Continuous improvement lead Culture of Innovation ? Why is there a strong correlation between a startup and Innovation and Disruption ? Why is it so difficult for established firms to drive Disruption ? What can such Companies learn from Startups ? How can this be practically implemented ? This talk mainly focus on following major topics such as, how can adaption of Blockchain is an incredible promise to build trust without sharing any personal information of vehicle and users? Secure decentralized and distributed data for Internet Connected Vehicles. Finally, speaker would like to discuss how Blockchain technology helps to solve and build trustworthy environment between user-to-user, user to machine and machine to machine. Regular Industry speaker for IEEE events, IoT Industry Summit, Cisco Live, Partner Summits and SDN forums. Software-Defined Networking (SDN) is an exciting new approach to network IT Service Management. The benefits from SDN are enhanced further with NfV (Network Function Virtualization) – an open framework for virtualization network functions with agility on the Cloud. This Tech talk will demystify the digital trends and triggers faced by Service providers (SP) and Enterprises (Ent) in their landscape. The ‘New Normal’ requires Flexibility, Agility, Costs Reduction at DevOps speed. The industry has identified SDN + NfV (with Orchestration) as the most appropriate and promising path to drive the network evolution to the next stage. If you are trying to understand what SDN + NFV is , why do i need to learn it, then this talk is for you. Since SDN extends IT flexibility and functionality which impacts Engineering and Operations teams, we’ll also cover the IT Service Management impact. Finally, we’ll explore what skills and capabilities are needed to take advantage of SDN + NFV. 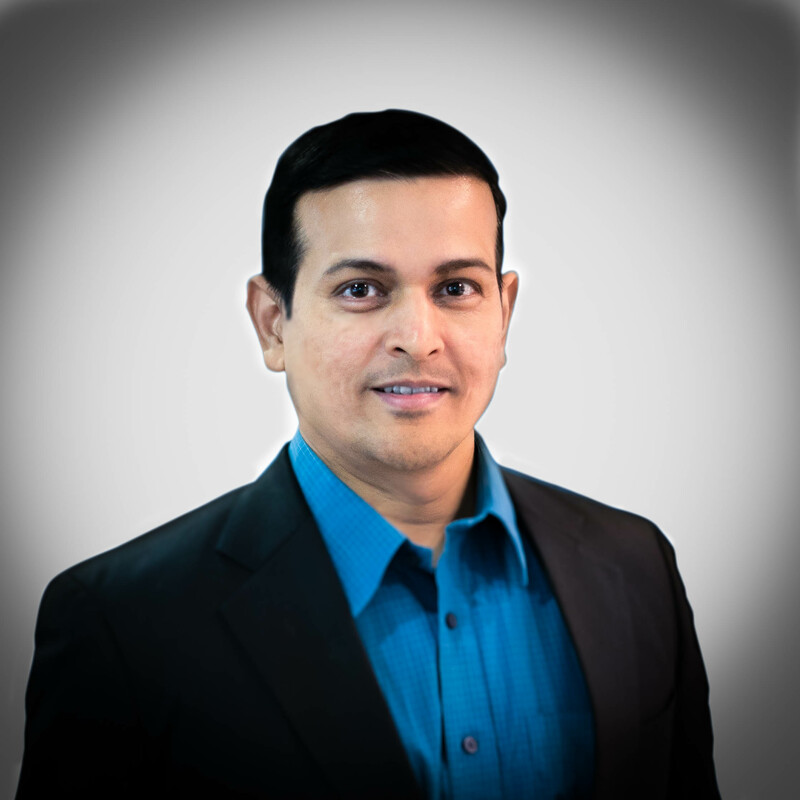 Vishal Mehrotra is the Global Head – Open Source Platform, at Tata Consultancy Services. 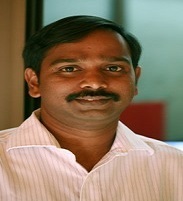 He brings with him 25+ years of diverse IT experience in consulting and solutions. In his current role, his primary responsibility is to help customers strategize, adopt and implement open source based IT solutions. He also works closely with the leading open source technology provider to create impactful solutions catering to the customer’s challenges and monetize them. He is an engineer by profession from IIT, Kanpur. In the current market conditions, enterprises need to keep reinventing to keep pace with the new customer expectations and demands. In this session, learn how open source is in the fore front and nudging the enterprises to constantly evolve themselves with the technology advancements. Mr. Rahul Sakrikar is a Senior Scientific Officer in the Division of Remote Handling & Robotics, at Bhabha Atomic Research Centre(BARC). Joined Division of Remote Handling & Robotics in Bhabha Atomic Research Centre in 1995 after completion of 1 year training. He completed his B.E. in Electrical Branch from University of Pune in 1994 and PGDST from NCST in 1998. His field work involves Development of Remote Handling Master Slave Manipulators, Design of Plant Automation for Food Irradiator, Development of Tele-operated mobile platforms, Development of AGV based Material Transfer system, Development of Visual In-Service Inspection Tools,	Design of Automation system for Hot-cell applications etc. He has received DAE Scientific and Technical Excellence Award in 2012 and DAE Group Achievement Awards for 2007, 2009, 2010, 2011 & 2016. The talk will highlight the necessity of automation systems specifically with respect to the nuclear industry. The talk will cover the various aspects of handling of radioactive material, working in the radioactive environment and limitation of the conventional systems for the applications. Some of the automation solutions for the nuclear application will also be discussed. 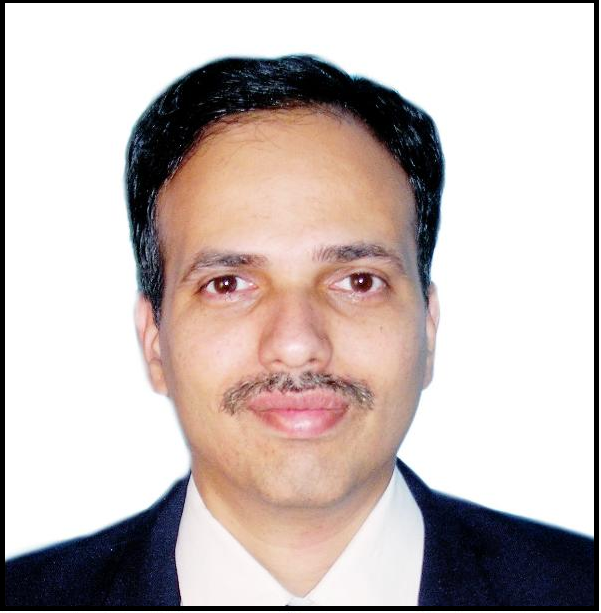 Dr. S. V. Kulkarni is Professor in the Department of Electrical Engineering, Indian Institute of Technology Bombay, India. Previously, he worked at Crompton Greaves Limited (1990-2001) and specialized in the design and development of transformers up to 400 kV class. He was a recipient of the Young Engineer Award conferred by the Indian National Academy of Engineering in 2000 for his contributions to Electromagnetic Field Computations and High Voltage Insulation Design in transformers. He was also honoured with the Career Award for Young Teachers from All India Council for Technical Education in 2001. He received Best Paper Awards in international conferences on transformers held in 2002 and 2006. He has authored a book Transformer Engineering: Design, Technology, and Diagnostics, Second Edition, published by CRC Press in September 2012. The first edition published in 2004 received an overwhelming response worldwide. He has also written a chapter Challenges and Strategies in Transformer Design in the book Transformers: Analysis, Design, and Measurement published by CRC Press in June 2012. He has also adapted an undergraduate text book on electromagnetics for Asia, Principles of Electromagnetics, Oxford University Press, published in October 2015. This talk covers recent and emerging trends in design, manufacturing and diagnostic techniques of power and distribution transformers. New technologies related to magnetic circuits, windings, insulation, and accessories are highlighted. Current/emerging monitoring and diagnostic techniques are enumerated after describing different modes of failures, aging and deterioration of transformers. Advanced modeling and analysis tools are used these days for design, analysis and optimization of transformers. Design considerations for transformers deployed in renewable energy applications are summarized. There is increasing trend to use natural and synthetic esters as insulating and cooling media; challenges involved in using them are elaborated. At the end, research efforts in making transformers smart and energy efficient are also highlighted. Dr. K Pradeep Kumar obtained his PhD from IIT Madras specializing in quantum cryptography. Since 2009, he is with the Department of Electrical Engineering IIT Kanpur. 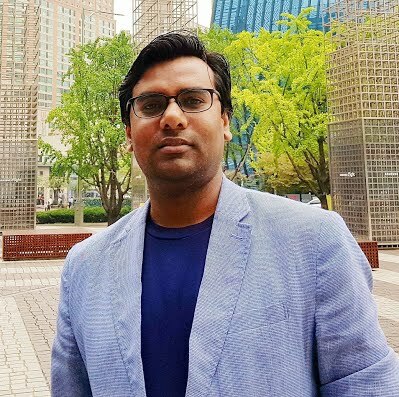 His lab at IIT Kanpur specializes in quantum key distribution, nonlinear fiber optics for signal processing, mitigation of linear and nonlinear impairments in coherent optical communications, mode locked fiber lasers and chaos, fiber-optic sensors for undersea applications, and fiber-optic modeling. His lab develops single-photon detectors, single- and subcarrier RF transceivers, and is currently working on true random number generators. He has published over 50 papers in peer reviewed journals and conferences and holds three patents. In this talk, we review the latest advances in coherent fiber-optic communication systems with data rates 100G and beyond. We describe the advanced modulation formats used to enhance spectral efficiency, transmission impairments suffered by optical signals through propagation in optical fibers, and signal processing at the receiver to mitigate these impairments. Various digital signal processing algorithms are used to mitigate impairments caused by laser phase noise, dispersion and nonlinearity in fibers, and frequency offset between transmitter and receiver oscillators among others. We discuss Kalman filter based algorithm for single-carrier systems employing QPSK or QAM formats and radial basis function neural network for optical OFDM systems. We also discuss optical signal processing using nonlinear effects in fibers to mitigate impairments. 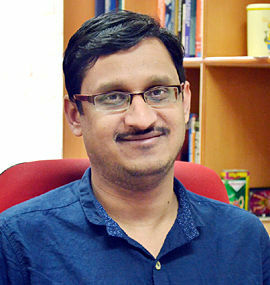 Dr. Suryanarayana Doolla is currently an Associate Professor at the department of Energy Science and Engineering, Indian Institute of Technology Bombay (India), where he teaches and directs research in power electronics and power systems. Dr. Doolla’s research interest include Smartgrids, Microgrids, Converter topologies and control, Communication protocol for power systems, Grid integration of distributed energy resources. He is reciepent of Bhaskara Advanced Solar Energy Fellowship (2017), Excellence in Teaching Award (IIT Bombay, 2015), Young Investigator Award (IIT Bombay, 2014) and IEEE Bombay Section Outstanding Volunetter Award (2013). He is a Senior Member of IEEE and is currently serving as Editor IEEE Electfirication Magazine, IEEE Journal on Emerging and Selected Topics on Power Electronics, IEEE Transactions on Industrial Applications, Electric Power Components and Systems, International Transactions on Electrical Energy Systems (Wiley) and International Journal of Sustainable Energy (Taylor & Francis Journals). He serves as member of Board of Studies of several Universities in the Country.